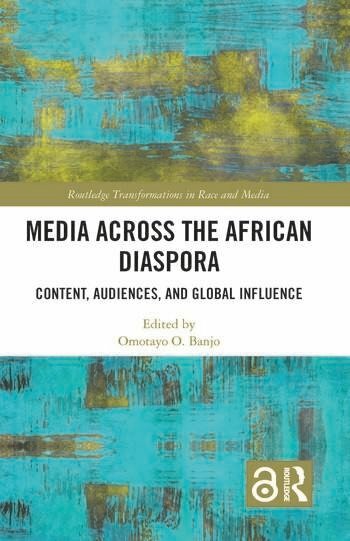 This volume gathers scholarship from varying disciplinary perspectives to explore media owned or created by members of the African diaspora, examine its relationship with diasporic audiences, and consider its impact on mainstream culture in general. Contributors highlight creations and contributions of people of the African diaspora, the interconnections of Black American and African-centered media, and the experiences of audiences and users across the African diaspora, positioning members of the Black and African Diaspora as subjects of their own narratives, active participants and creators. In so doing, this volume addresses issues of identity, culture, audiences, and global influence. Omotayo O. Banjo is Associate Professor in the Department of Communication at the University of Cincinnati, USA. She focuses on representation and audience responses to racial and cultural media. Her work has been published in Journal of Broadcasting and Electronic Media, Communication Theory, Journalism and Mass Communication Quarterly, Journal of Media and Religion, and Race and Social Problems. She most recently co-edited a volume on the topics of race, ethnicity, and faith called Contemporary Christian Culture: Messages, Missions, and Dilemmas.